This method takes longer and has less options. You will not be able to add a frame or design. Most of the monograms on this site have three initials but we also have some monograms with 2 or 4 initials (see above). Each sample monogram usually has 3 dummy letters (ABC). Replace these three initials with your own initials. If you want to use two initials only then erase the middle initial (B). You can move the A and C closer together and you can also drag each letter to the right if you want to make it larger. The following round monogram is available in 35 different colors. 68 Free circle monogram templates. 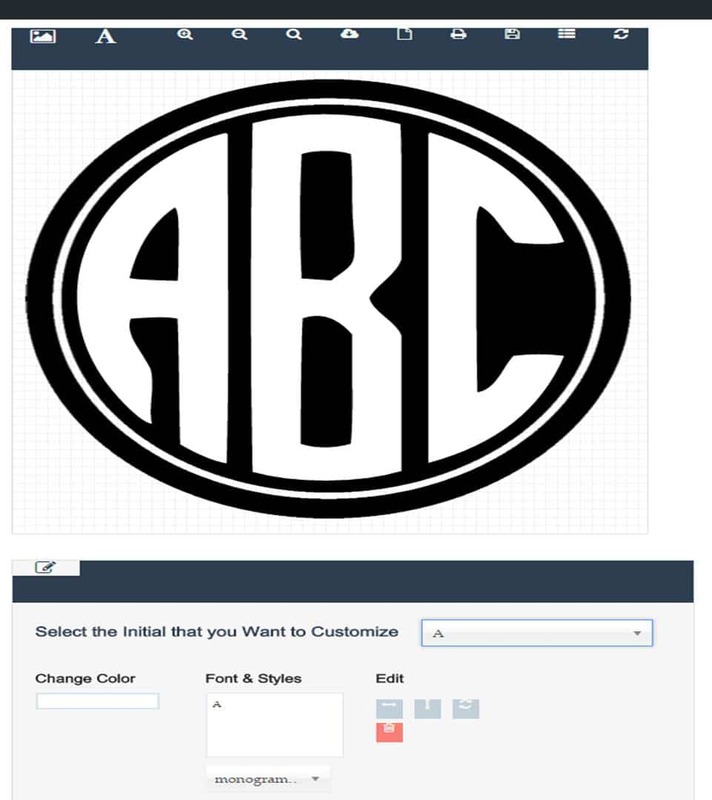 Open the free circle monogram generator and enter your initials. You only download the complete monogram and no fonts need to be downloaded. You can also change the color of the circle monogram font and of the border. Free instant download. See explanation on how to change the letters and colors below. If you are looking for a circle monogram font free standing without the border then scroll down to the bottom of the page. There are many monogram frames available. For those who want to use the free monogram font with no border. Select the design you want to use from the 68 options above. There are other monogram designs available. Select the A and type your first initial in the box to the left where the letter A appears. To the left, you will see a box that says “change color”. Select a new color if you want to make a change. Repeat the process above for the letter B and C.
If you want two letters only then click on “Select the Initials that you want to Customize” and select the letter B. Then click on the little x on the letter B to erase it. If you want to make changes to the circle then click on “Select the Initials that you want to Customize” and select “circle” and then you can make it larger, smaller or change the color (as per instructions above). Do you offer a circle monogram font (free) to install on a PC? Yes, we also offer a free circle monogram font that you have to install on your computer. Please see below. The templates above will enable you to create a circle monogram online without installing any fonts on your computer. The monogrammed circle can be downloaded as a PNG image with a transparent background and then later used on any product or in any file. You can change the size and color of the font and edit each letter. How do I download or print once I have edited the initials? Click on the cloud icon to download as a png file, the page icon to download as a PDF or the printer icon to print. 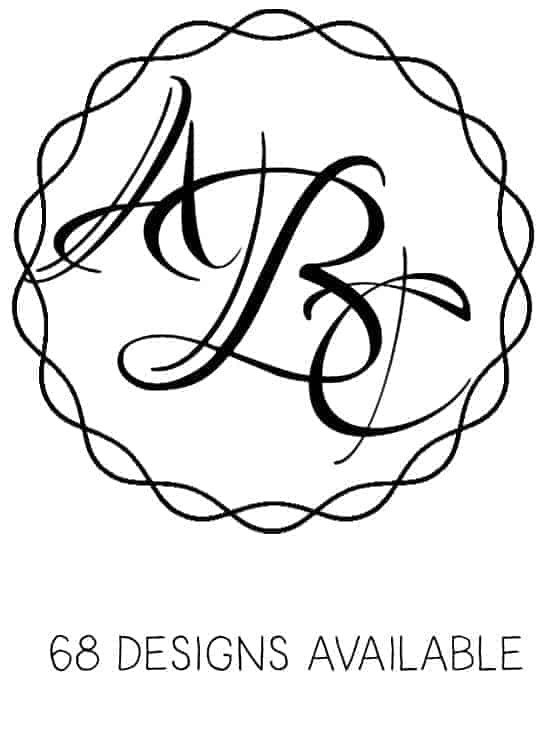 Do I need to download the circle monogram font? No. You do not need to download any software. The circle monogram maker is an online app that will create your monogram for you without downloading any software. Yes. The circle monogram font generator allows you to change the color or size of the font. Yes. You can select another font from the list of available fonts. Do you offer free monogram fonts? Once you open the monogram maker you can choose from a selection of at least six free circle monogram fonts. Follow the instructions above and under the box “Font & Styles” you can select a font from the list of available fonts. We have many more free monogram fonts that can be used to create custom monograms. Can I change the monogram circle after I have started customizing? No. You need to select the circle design before you start. If you want to change the design then you need to click on that design to start customizing. Once you have started you can only change the color or size of the design but you cannot change the design. 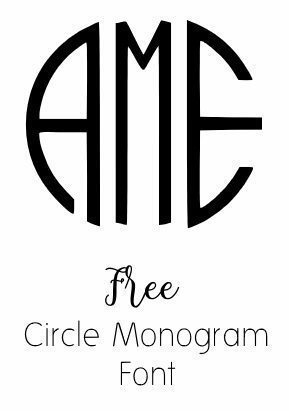 Do you have a circle monogram font free to install on a PC? Either use our free circle monogram font online or download it and install on your PC. If you use our monogram app, you can add frames and backgrounds. It will also save the hassle of installing on your PC. Both methods are free! If you prefer to download and install our free circle monogram font then follow the instructions below. The font cannot be placed on a website without linking to this site! To create the left initial use a capital / uppercase letter. To create the right initial use a small / lowercase letter. This font is used to create the middle initial. You can use uppercase or lowercase letters. How to Use the Circle Monogram Font? Open the program that you want to use. Type the initials. The first initial should be typed with caps lock on and the last initial should be typed with caps lock off. Select the “Circle_leftright” font and use it for the first and last initial. Select the “Circle_middle” font and use it for the middle initial. How to change the spaces between the initials? When using our font on a Word document you can make the initials closer together or further apart. To do so, click on the font dialog box on the home tag. On the advanced tab, you will find a spacing box. You can select either expand or condense. See here for a detailed explanation. Can I create a master circle monogram? You can change the font to a master circle monogram font. Click on the circle design you want to use to open the circle monogram maker. Select the letter A (see explanation above) and then change the font to any of the options available. The monogram below was created with the “Ruthie” font. Please note that you will probably have to change the size of the letter. Once you have changed the font it will be selected. On the bottom right-hand corner you will see two little arrows. Drag then to the left to make the letter smaller. Once you have changed the font for all three letters you can move them around so that they overlap nicely. To go back to the natural circle monogram font you can refresh the page. Do you have any other circle monograms? Yes. There are 68 designs on this page but on the homepage, you will find many more options in different styles (watercolor, chalkboard, gold, mandala, etc). The following design is available in 35 different colors. can i have the link to download the monogram font free please? The link to download the font is as the bottom of the page. You need to click on the design that you want to use. Can I use these mongrams commercially? They can be used commercially as long as they are not used online. Sorry but you cannot use them on Etsy without linking back to this site since they will be presented online. If you add a link to this site from anywhere on your Etsy store then it is OK to use them. Yes, you are free to use all designs on your embroidery machine. At the risk of seeming greedy,” is there any imminent chance of a diamond-style monogram selection? Are there any more monogram borders in the offing? That is a good idea. We will start working on a diamond monogram maker. I hope that we will be able to get it up on the site soon. I’m sorry but I am not able to add my own letters. I click on the “edit initials” and nothing happens. What am I doing wrong? Sorry for the late reply. I missed the comment. You have to first select the design that you want to use from the 68 samples. The file is not downloading in a format compatible for cricut. How do I change that? Did you download in png format? Excellent monogram generator, intuitive using. Thank you, I will share your link!